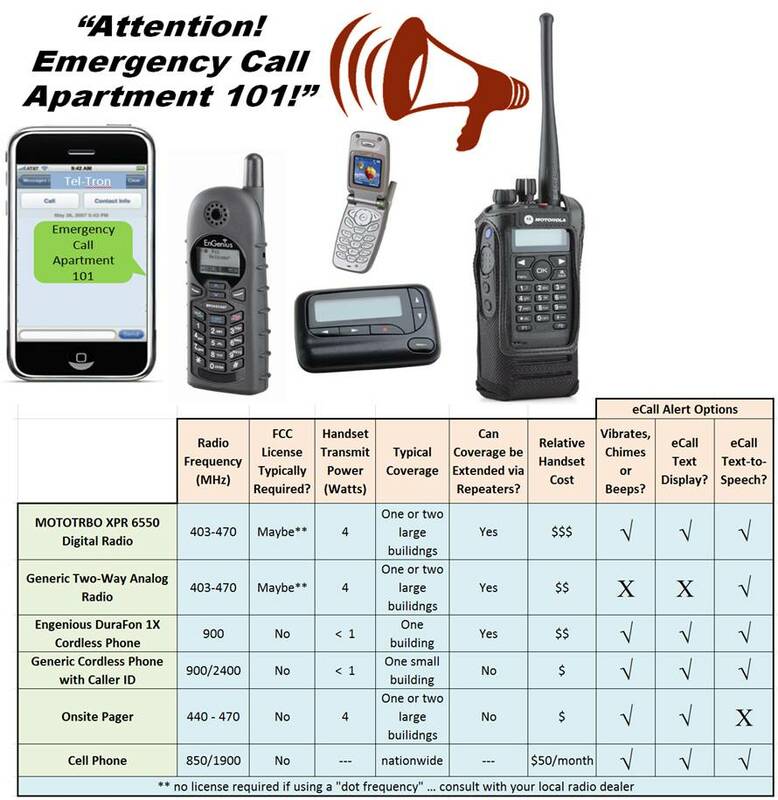 MOTOTRBO, Engenius, and the many other mobile ways we can alert your on-the-go staff … | Silversphere, Inc.
Let’s say you operate a large assisted living property that spans several buildings over several acres. Maybe even an entire gated community with hundreds of detached cottages and casitas. Chances are your first responders to emergency call events will be your security staff who typically will carry portable, two-way radios that operate in the 400 to 470 MHz licensed frequency spectrum, possibly using repeaters to span your property. To annunciate emergency calls to two-way radios, we offer text-to-speech voice and, in the case of the very cool MOTOTRBO, text messages that appear on the radio handset. Motorola’s MOTOTRBO™ professional digital two-way radio handsets are rugged, and have LCD screens that can display emergency call alerts. [See http://business.motorola.com/mototrbo/US/docs/MOTOTRBO_System_Brochure_1_08.pdf] The MOTOTRBO technology also provides two independent channels for the price of one FCC site license* (a second channel doesn’t require a second repeater — two channels are supported on a standard 12.5 KHz channel). A common deployment scenario is to dispatch emergency calls out over one channel, and retain regular two-way voice for security personnel on the other channel. Since we’re an authorized Motorola Application Developer (we developed a way to interface with our emergency call systems), we can also use Motorola’s Customer Programming Software (CPS) to tailor your MOTOTRBO system to suit your property needs. *Note: A FCC site license is not necessarily required. So-called “dot frequencies” are available (shared amongst many users) that do not require registration. However, a FCC site license will guarantee no interference from others operating on the same frequency. Consult with Tel-Tron or your local radio dealer. Does your staff need to be able to place and receive regular telephone calls and be in contact with each other over a large area, and at the same time be able to receive emergency calls? The Engenius DuraFon 1X Long Range Industrial Cordless TM Phone System may be right for your facility. [See http://www.engeniustech.com/telecom/products/details.aspx?id=103.] EnGenius cordless phones allow up to 36 users to share 4 lines, and include push-to-talk radio, call transfers, and text messaging. The DuraFon 1X will also allow users to loudly broadcast to another user, a group of users, or all users. Emergency call alerts may be displayed as caller ID text (e.g., “Emergency Call, Apartment 101) and/or voiced by the Tel-Tron automated attendant. Less sophisticated and inexpensive cordless phones may be used by smaller assisted living facilities (generally low-power and cannot be “repeatered”). As above, emergency call alerts may be displayed as caller ID text, and/or voiced by the Tel-Tron automated attendant.